While on his 2nd mission to Athens, the apostle Paul was invited by the Stoics to come explain the new God he was preaching about in the temple and in the streets. Not missing a beat, Paul headed for Areopagus (Mars Hill) to present his argument of this God to the Greeks, who’d meet at a special council and discuss religious philosophies. As he walked down the entrance, statues lined both sides, each with a dedicatory plaque representing a different god. As I read over this biblical passage again, I couldn’t help but think of Mormons. 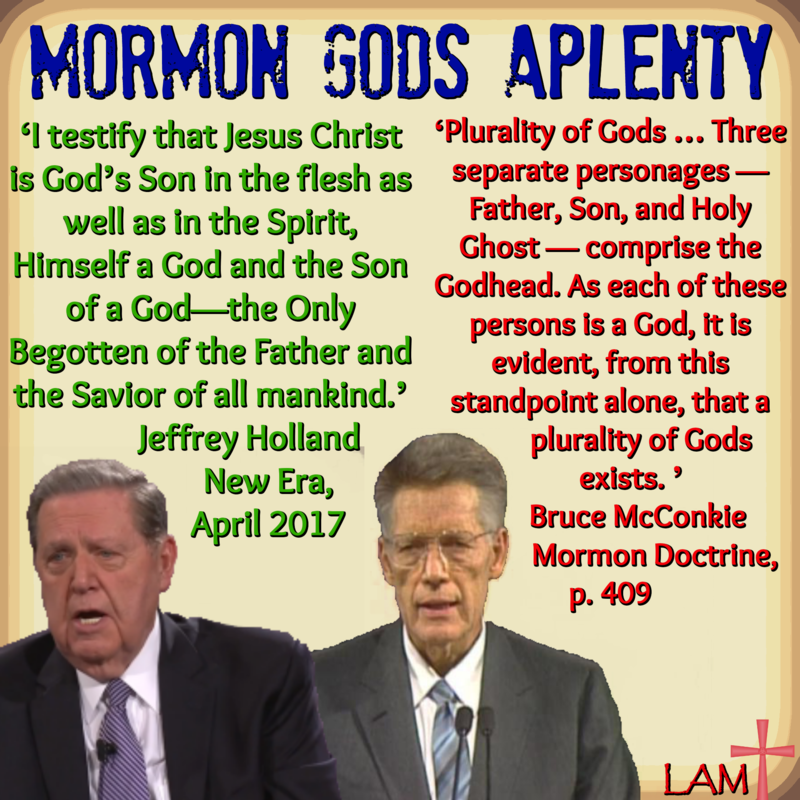 While Paul correctly jumped on the chance to introduce the true God of the Bible, we can’t help but wonder if Mormons ever think about the pantheon of gods in their own religion. To date, they don’t even know the name of their heavenly father’s father. In this past General Conference (April 2018), we saw numerous speakers talk on the importance of doing genealogy, and the subsequent temple work for deceased relatives. With all the baptisms, endowments, and perfunctory exercises they engage in, we’re praying they stop to wonder who all the gods are, and where they’re at today. The only difference between activities of the Stoics, Epicureans, and Mormons, is time. Each is a form of polytheism. Be sure to share the info with the Mormon you know and ask what they think!